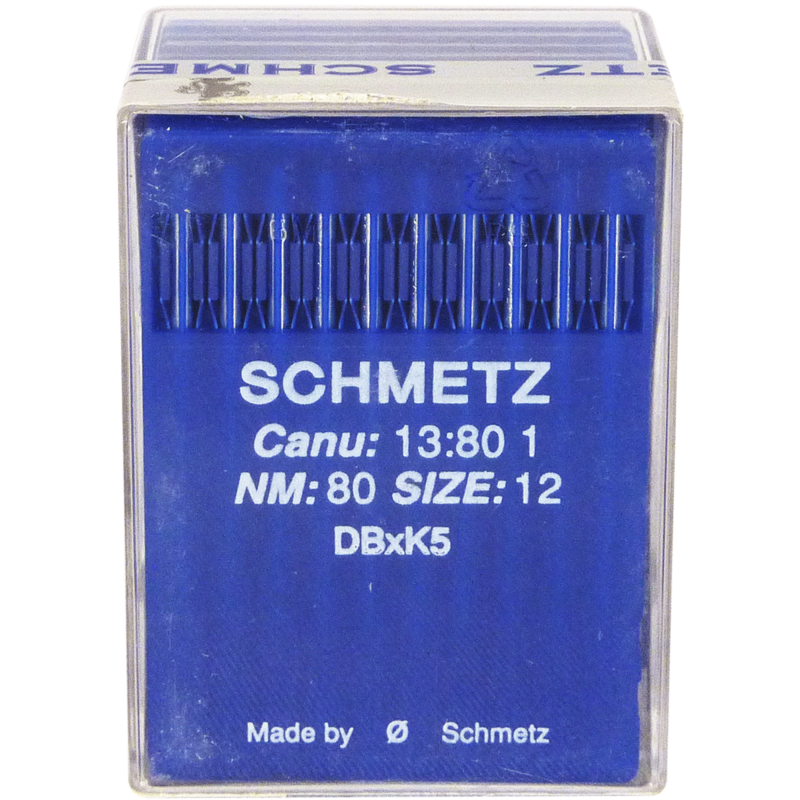 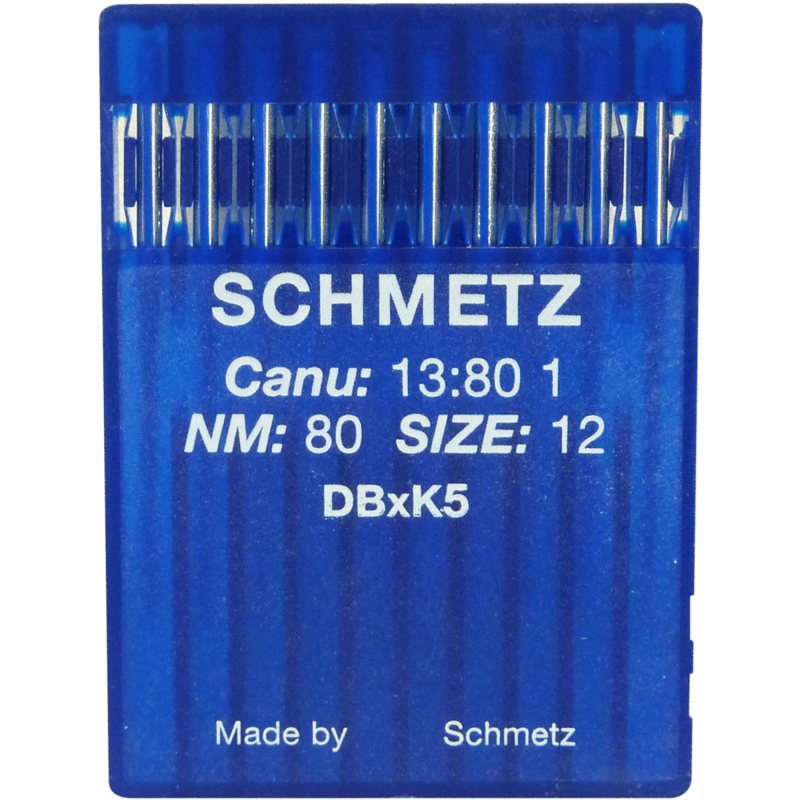 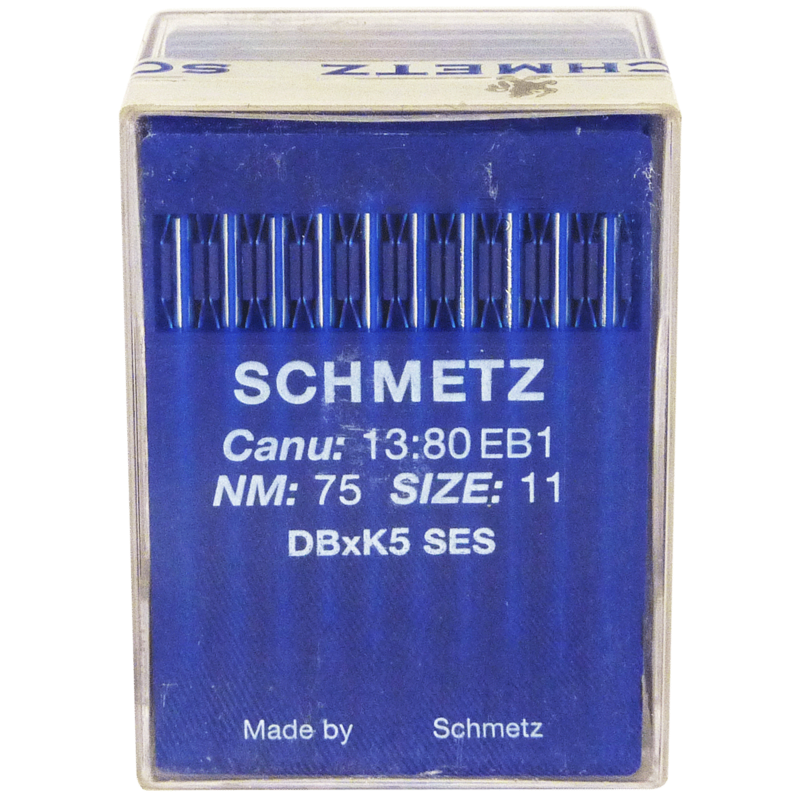 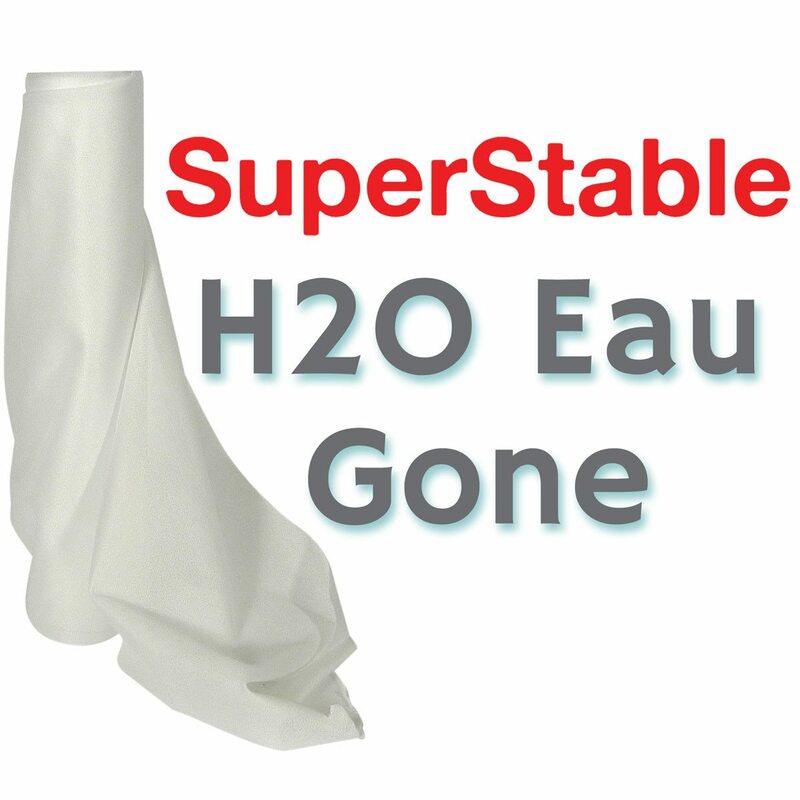 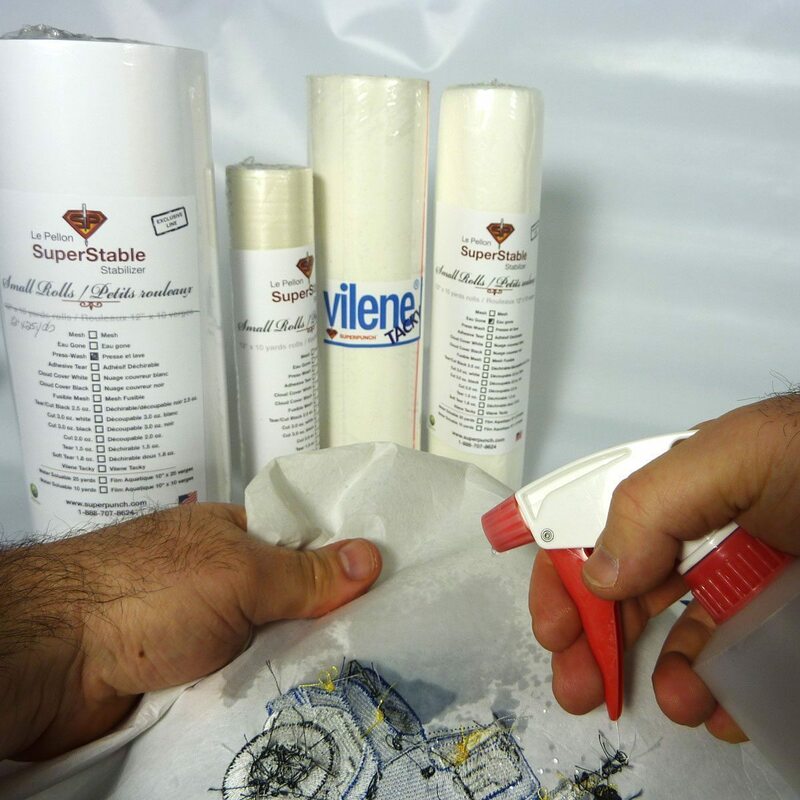 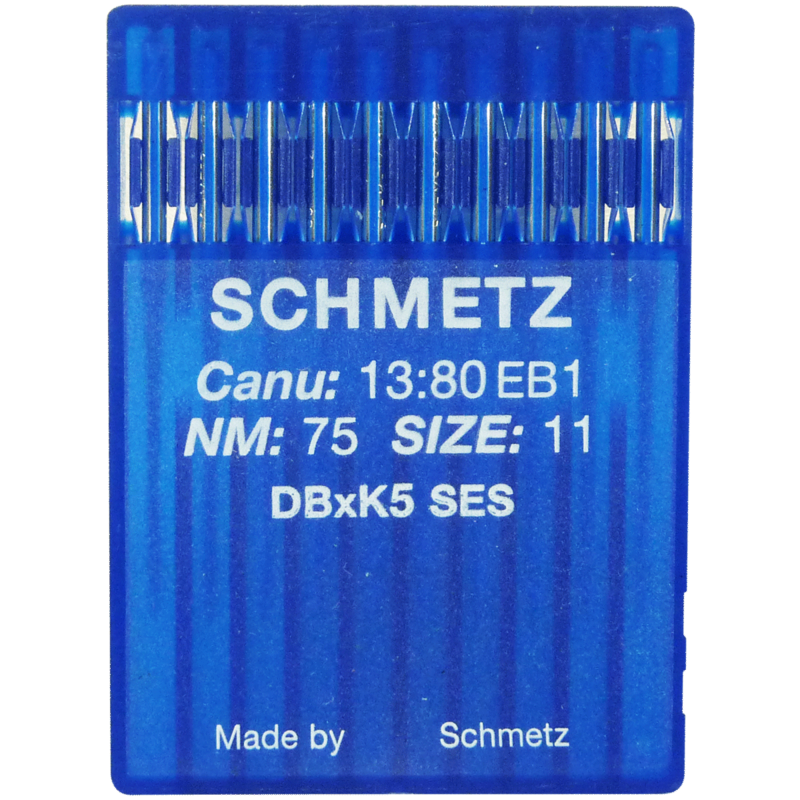 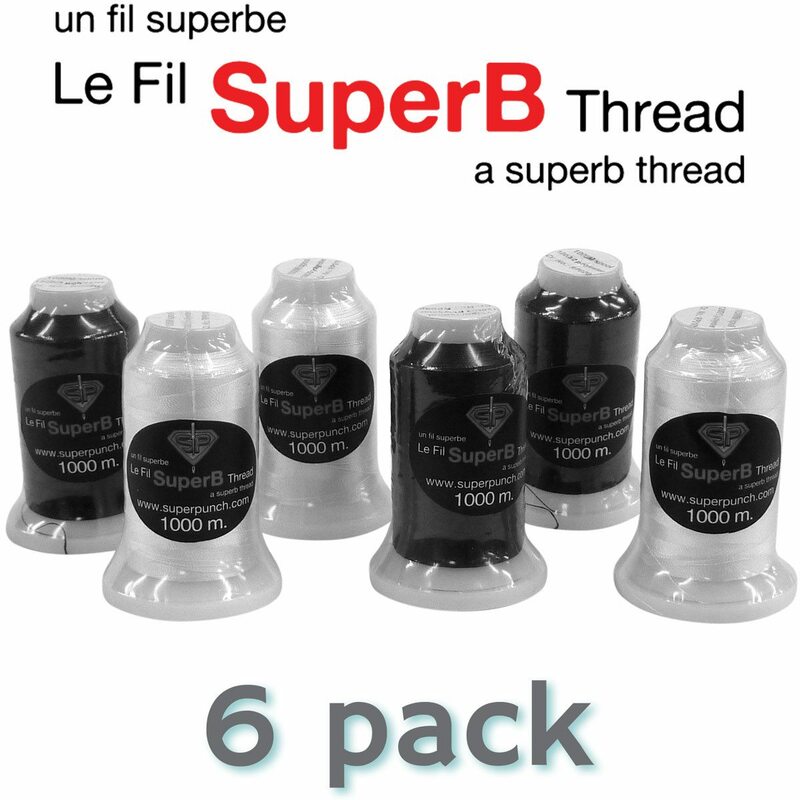 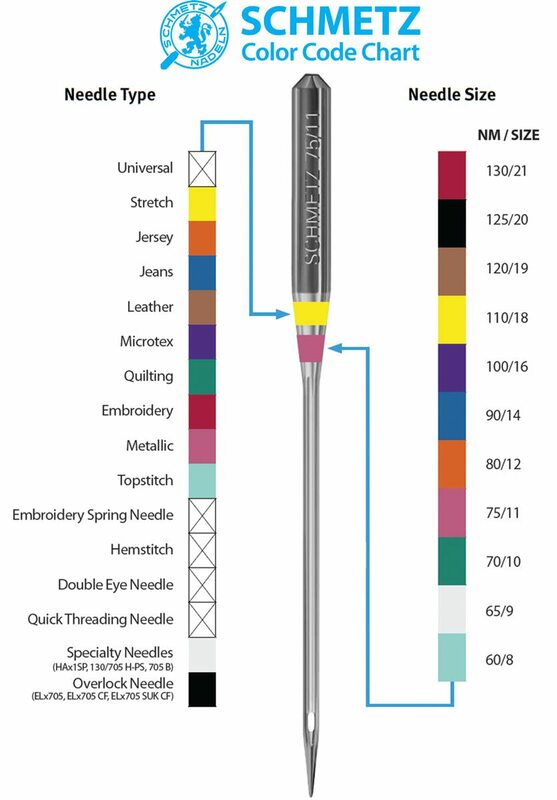 Designed for rayon and polyester embroidery applications. 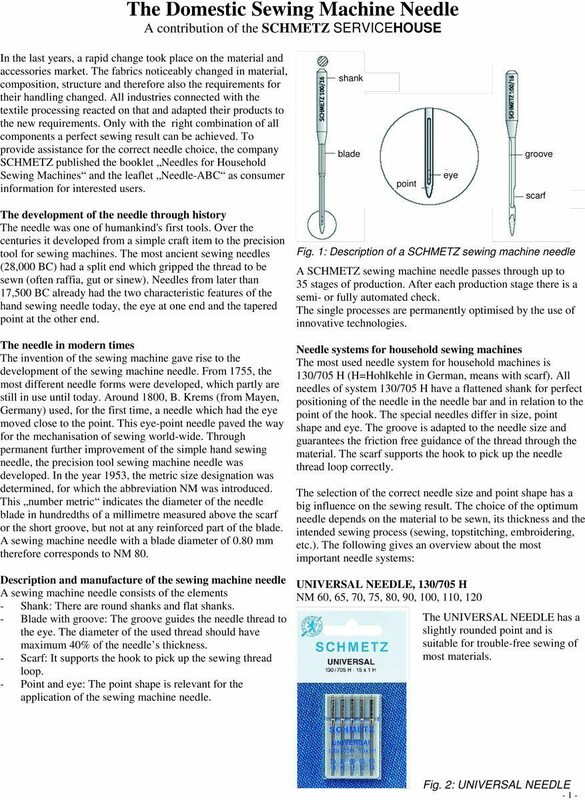 System 130/705 H-E: With light ball point and especially wide eye and groove in relation to the UNIVERSAL NEEDLE to accommodate voluminous threads and woolen threads. 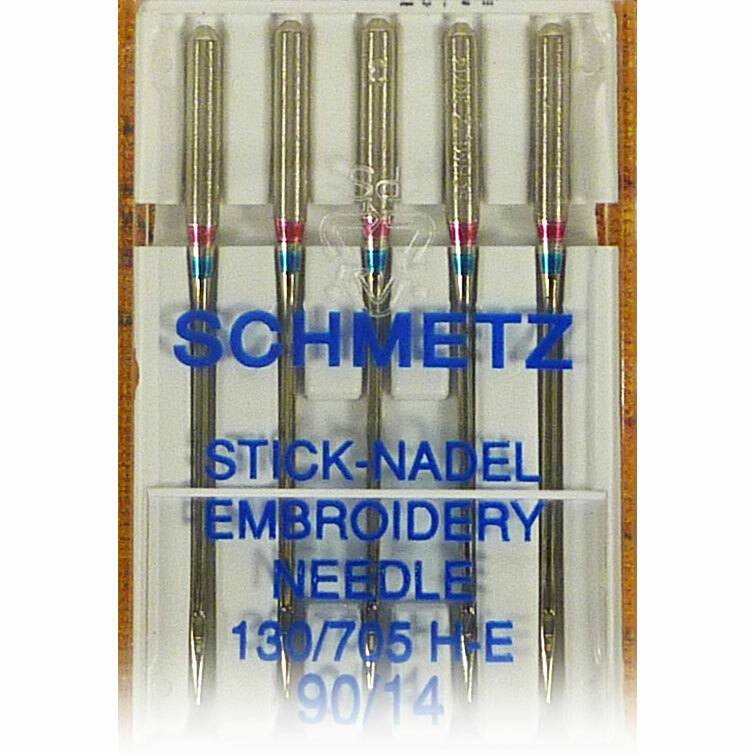 Needle sizes: NM 75/11, NM 90/14, and also assorted. 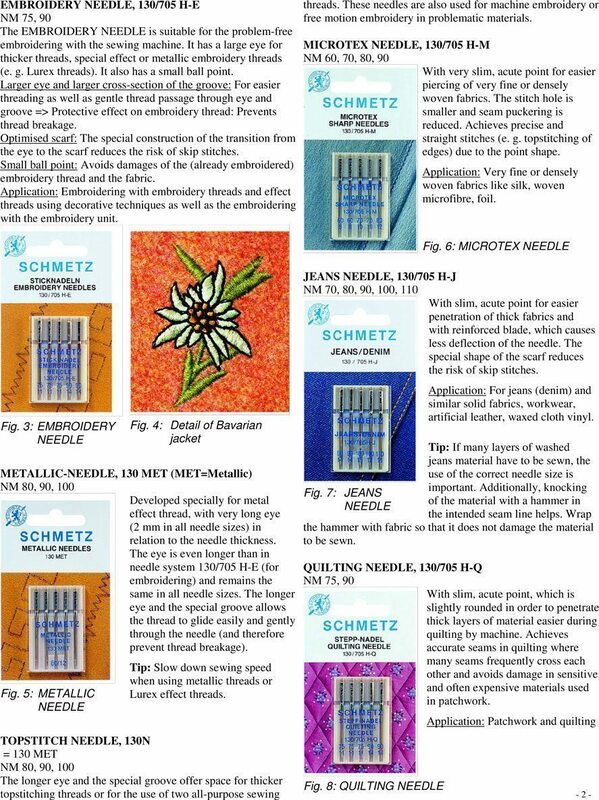 Fabric Use: The special scarf, widened groove and enlarged eye protect fragile threads and guard against excess friction allowing trouble-free embroidery and decorative stitching. 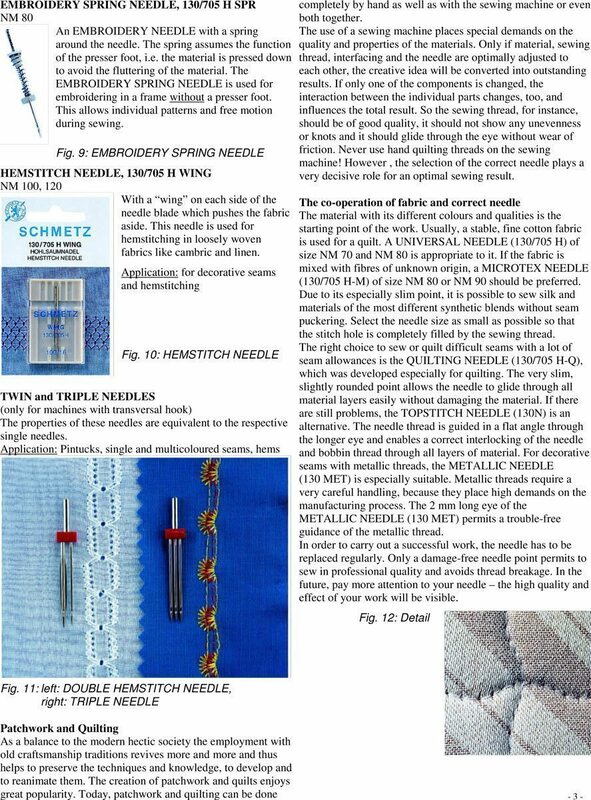 Also available as TWIN NEEDLE.